Monday morning was rough. Like wake up at 4 am to catch a 7 am flight and an unpacked checked bag rough. I am a travelling Management Consultant and side hustler who focuses on building lean, mean, Agile machines by day and #girlbosses by night. Any travelling Management Consultant will tell you every Monday morning is rough. And every travelling Management Consultant will tell you to NEVER check a bag. I missed the flight. And I questioned every choice I’ve ever made in life. I was one well-crafted email from a drastic move. I was resolved that I needed to quit my job and risk it all for my side hustle that barely breaks even. When in reality, I needed to get a little perspective, a whole lot of focus, and keep driving forward. By Tuesday, @Thinkandgrowchick and @Myleik hit me with the words of wisdom. Let’s be clear, I actually do love my job 1) I have a pretty dope project working with a growing line of business and an awesome client. 2) I get to think about Agile and User Experience (#UX) all day long in a really impactful way. Sometimes I get so motivated by queensbrunch.com, I can barely stand still. I started doing Queens brunches in Chicago as a response to male dominated panels at entrepreneurship networking events that were always downtown. Motivated by my mother’s entrepreneurship journey, it has turned into a women’s community driven by gender representation and the inequities that come with the Boy’s club and the women’s pay gap. And I am ready to do something about it. Right. Now. As women we need to run our own profitable businesses as well as self-promote within the organizations we work in. But chile, I’m a very real case of sleepy. 5. I have the desire to develop self-discipline as a habit to grow into a No Excuses Woman. I want it bad enough to invest in my personal development and self-discipline a little bit more. 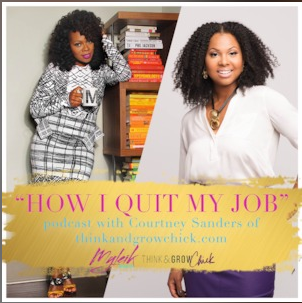 Myleik Teele and Think and Grow Chick wake up at 4:30. They have self-care routines which includes health and spirituality. They make a to do list everyday. They visualize the lifestyle they desire to stay motivated. I have been overusing the “I Deserve”. I am a side-hustler and the little things have been throwing me off. See missed flight above. When every bone in my body wants to get work done, I may go to a networking event or start 4 different things or spend all of my time cleaning my home. With only 3 days per week spent in my home before I’m on the road again, my grind is real but not sustainable. Year 1- The discovery period. What and How? — THIS IS ROUGH!!!! Year 2- Getting confident on what I do and cleaning up the time it takes / the customers you engage— — I just made it past year 1. THIS IS MEEE!!!!! Year 3- When you become a well oiled machine — — I can’t wait for this. It’s gone be crackin!!!!! 2. I need to embrace the pain and prioritize. 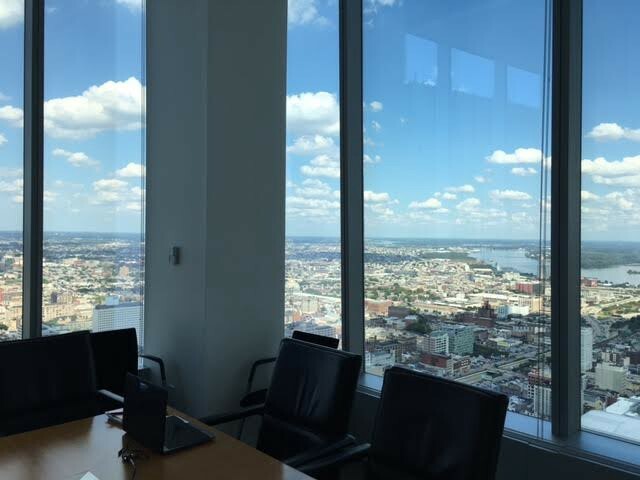 In my personal experience, being a founder and Management Consultant at the same time makes me a better founder AND Management Consultant. I have a deeper appreciation for what my clients go through cause low key I go through a microscopic version of the same thing. I also have a better appreciation for my main hustle learnings. So the pain of the 4 am flights, the long nights, the continuous weekends, and the humbling experiences will be worth it. No pain. No gain. Being sharper in focus and organization. Everything from the daily to-do list to taking time for my soul. 1. It takes very real Revenue to run and grow a business. Personal financial responsibility is super real. Thank you to @ThinkandGrowChick for her transparency on monthly earnings. I definitely ain’t making that. And if I jumped now I’d be 6 months away from the struggle bus’s struggle bus. I really need to practice the word no. In the beginning of my career, I learned so much from being a Yes woman. I took on everything very early on and thrived. But now, I cannot take on everything. I can’t even take on 50% of what I want to. I need to focus on what I can do to have the best of success in my own life. I encourage you to listen to this podcast to the end. And cash out on that gem offer they drop at the end for the 21 day self-discipline program. I look forward to thinking and growing with you all #mytaughtyou #thinkandgrowchick. If you enjoyed this piece, please support Atkco by selecting the little green heart!